Join us for a weekly hot, well balanced nutritious meal program for seniors in our community. 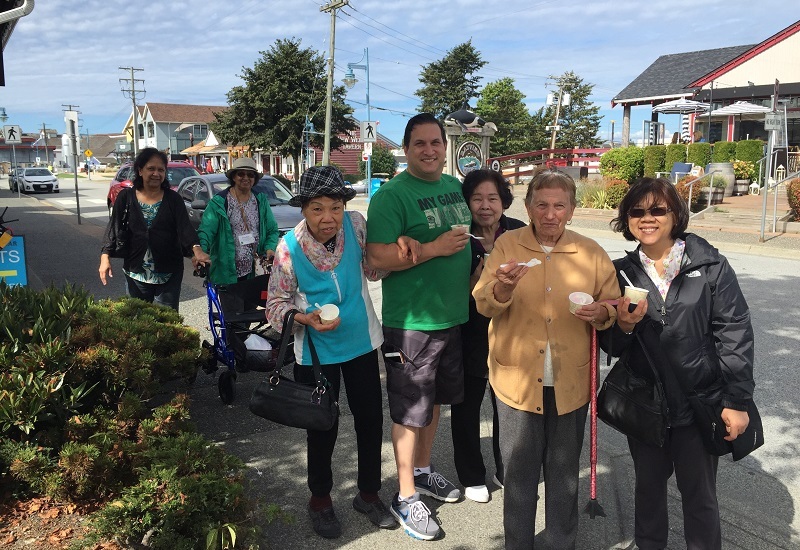 This group of volunteers connects seniors to community programs and services to help them stay healthy in mind and body, and age in place. If you know of an elder who could benefit from connection, or if you would like to volunteer, please email or give us a call. Adult Day Care supports frail seniors with physical or cognitive disabilities who live in the community by themselves or with caregivers. Using a person-centered approach to care, we strive to develop opportunities to build and enhance relationships, maintain and support skills, and access resources. Check out our ADP brochure for more details. Monthly workshops that focus on a variety of topics of interest to seniors and their caregivers. Helps seniors learn about health and nutrition, gardening tips and important health issues while enjoying a meal together in a supportive and caring environment. Healthy eating, physical activity and friendships are the main activities of this program with which we partner with Good Food Centres Canada. 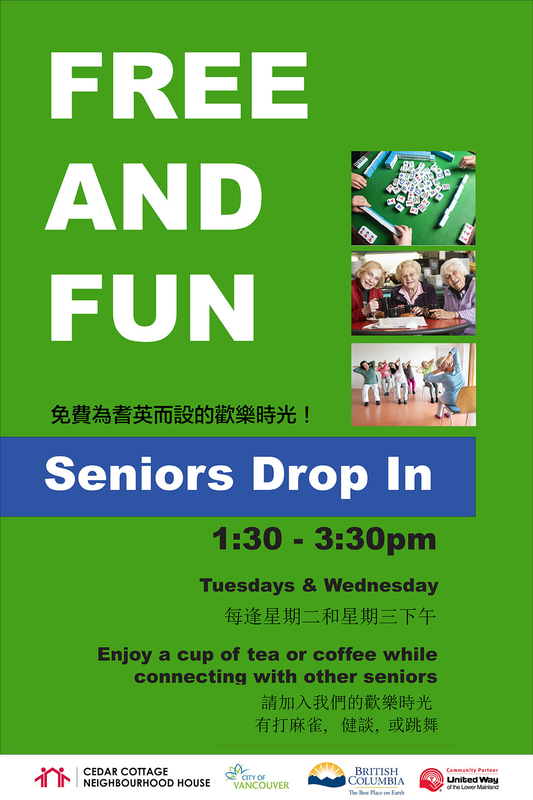 On Tuesdays and Wednesdays at 1:30pm, enjoy a cup of tea or coffee while connecting with other seniors. Chair yoga exercises for seniors in a fun and safe environment.